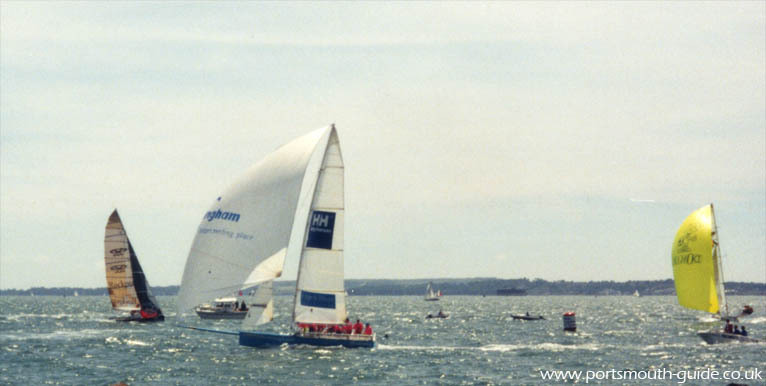 Portsmouth is ideally situated for holding yacht races and the Ultra 30s have held races just off of Southsea Sea front for the past few years. The yachts race between buoys in the sea in various races and penalties are awarded if one yacht fowls another or if they miss a buoy they have to go back and go round it. It is great to watch, sometimes a yacht will capsize and then they have to right it and continue or a member of the crew may fall overboard. This is held during the summer and details can be located in the local paper whose site is at www.thenews.co.uk. Portsmouth Harbour as well as hosting races is also a busy port for naval and passenger ships.